We, at PARJANYA undertake rain water harvesting consultancy to over come the grave problem of water shortage. We undertake consultancy as well as turn key rain water harvesting projects. 0n 18 Nov 2018, International Longevity Center- India, had organised, Award ceremony, at The Auditorium, New Law College, Paid Road, Pune.The awards were given by , Mr Venkatesham, Commissioner of Police, Pune. 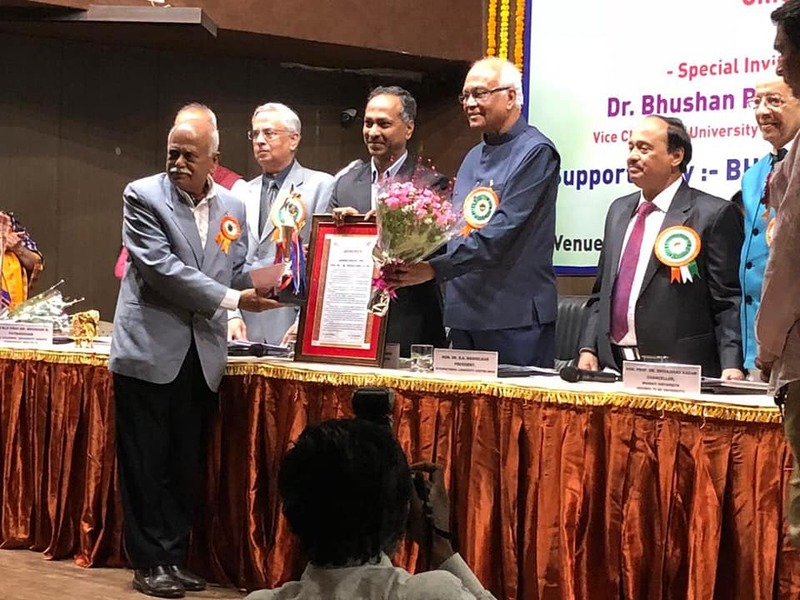 I was conferred with " Jivan Gaurav Puraskar ( Life time achievement award ) in recognition of my humble work in the field of " Water Conservation & Rain Water Harvesting ". This was very joyous, proud & memorable event of my life. I thank all my friends, relatives & well wishers who were present at the award ceremony. On 10 July 17, I got invitation from Committee of Ministry Of Urban Development, to do presentation on Rainwater Harvesting in Metropolitan Cities, in Parliament House Annexe at 10 am on 11 July 17. The meeting was attended by MPs from Loksabha & Rajyasabha. The meeting was chaired Shri Pinaki Mishra. 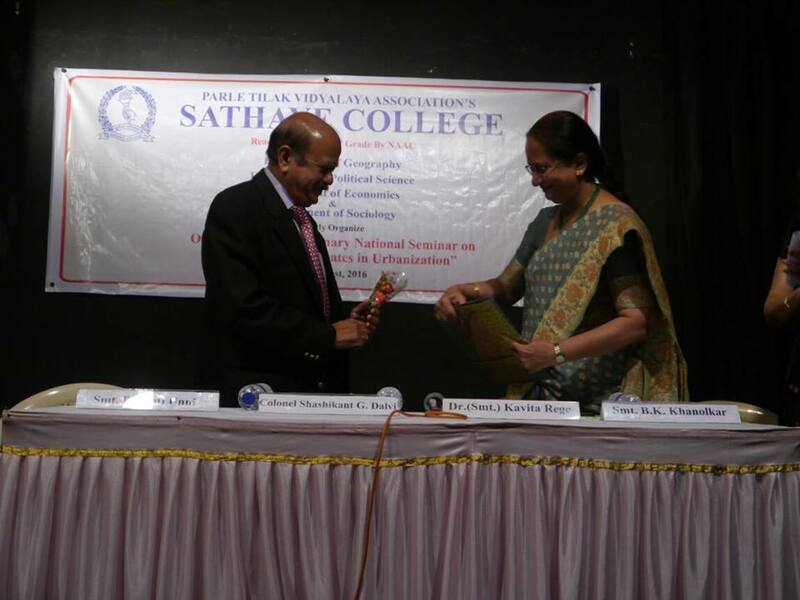 On 5 Aug 2016, I was invited by Parle Tilak Vidyalaya Associations , Sathaye College, , to give the key note address in the National Seminar on Contemporary Debate in Urbanization. Around 175 graduate & post graduate students & staff attended the seminar. 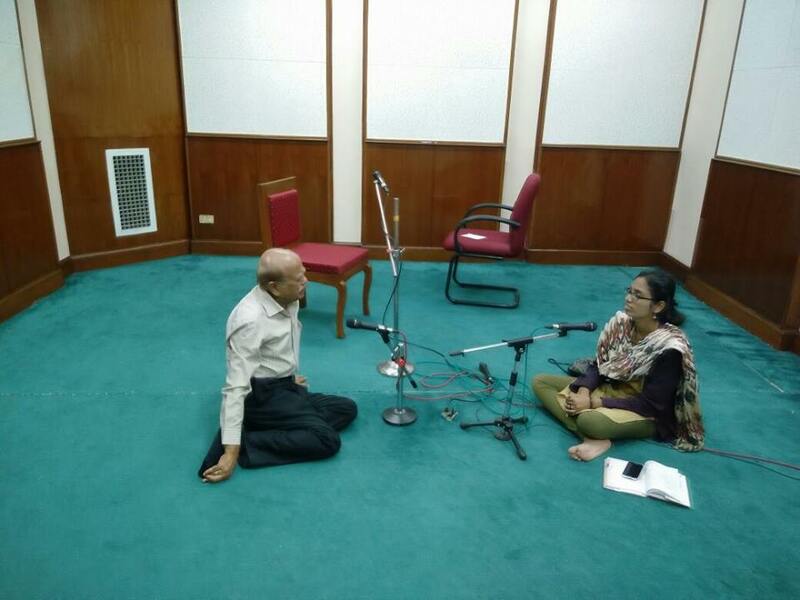 on 02 July 2016 Col Shashikant Dalvi was invited on All India Radio, Pune for talk on Rain Water Harvesting its necessity to tide over water shortage & benefits. Pune Womens council, Invited me to address their members about the importance of WED , Meaning of this years theme "Go Wild", followed by need & benefits of Rain Water Harvesting. Around 100 members attended the event, conducted in a natural Environment. Excellent initiative by Pune Municipal Corporation. Commissioner of Pune , was instrumental in starting this project on PMC buildings. Organisations like NSCC Pune, were pressing for such initiative since long.I will be providing all the necessary technical advise based on my experience. Conducted 2 days awareness & demonstration workshop at Bankhedi, Pipriya, Madhya Pradesh , India. 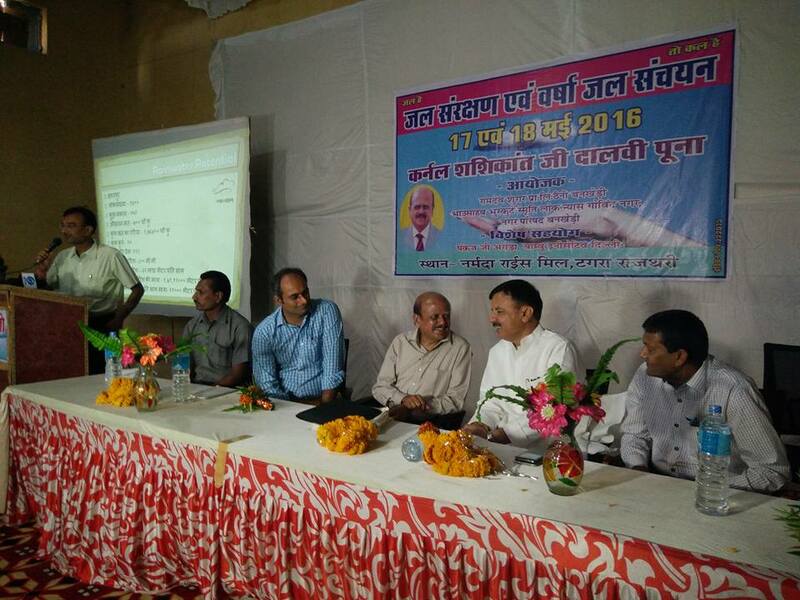 On 17 May 16 , I was invited to conduct 2 days awareness & demonstration workshop at Bankhedi, Pipriya, Madhya Pradesh , India. On the first day around 400 villagers from 40 villages attended the workshop. M P from the area Mr Uday Pratap singh, graced the occasion. Two community groups from Pune , felicitated me for my work in the field of Water conservation & Rainwater Harvesting. Mr Baba Aadhav, leading social worker in the state was the chief guest. The event was held on Tuesday 3 May 16, at S M Joshi Auditorium. On Sunday 10 April 2016, our society Green Land 2, Viman Nagar, in Association with UNICEF India, Pune Chapter, organised an awareness program through games. Aim was to spread awareness about importance of SWACHH ( Cleanliness). Mr Shitole of UNICEF Pune info all present of untimely death every day due to our negligence towards cleanliness. On 18 Mar 2016 I was invited by D D Mumbai to participate in a Live Telecast to spread awareness on measures one can take to handle present water crisis. On 05 Mar 2016 I was invited by Times Of India , under Newspaper in Education initiative to address around 850 students & their parents, regarding Water Conservation . Maharashtra including Pune city is facing water shortage, for me this was. a different kind of experience interacting with such a large young minds in the age group 12 to 16 years. All the students agreed that they will not celebrate holy in normal way & waste precious water. They promised to adopt conservation practises explained to them. 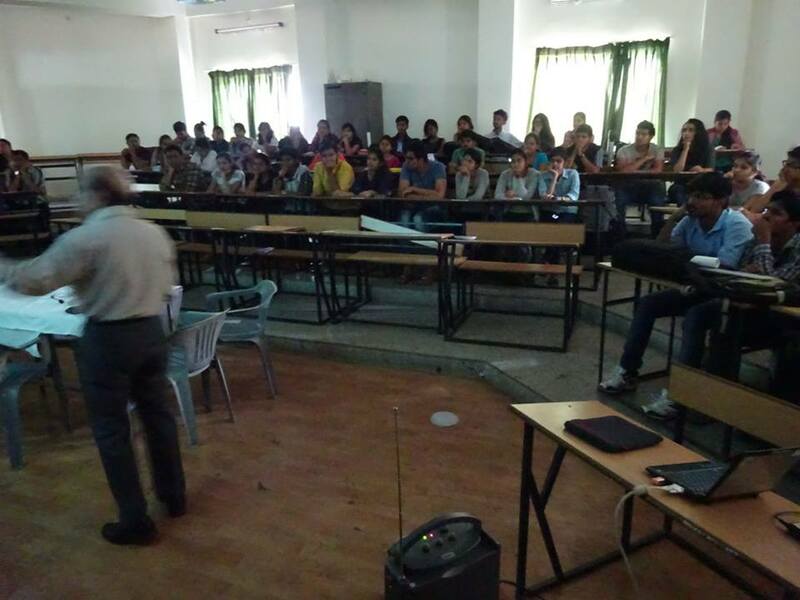 On Wednesday 10 Feb 2016 , I was invited by Marathwada Mitramandal College Of Architect, FC Road, Pune, for a seminar under the college initiative SAMWAD. The topic was Global Warming & its Effect on Natural Resource like Water. 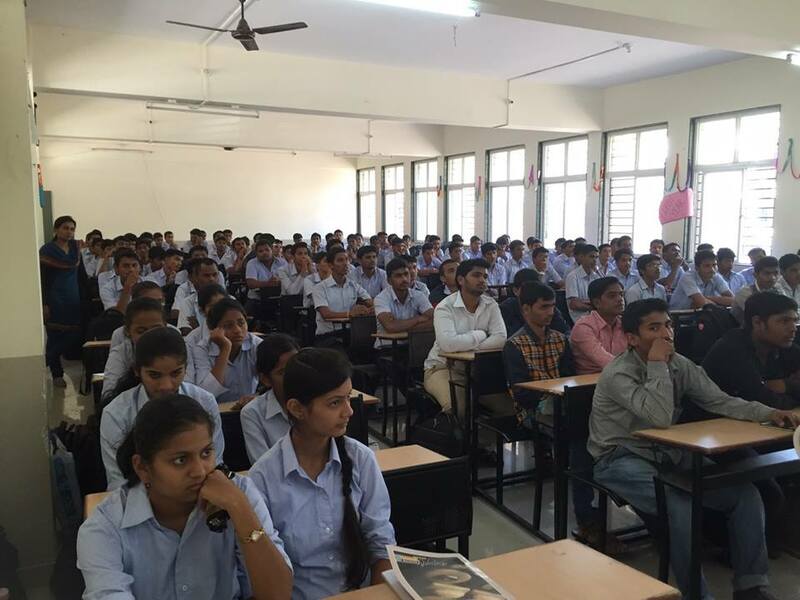 Around 60 students attended the seminar. This seminar was organised by Mrs Rutuja Deshmukh-Jagtap in consultation with Ms Aparna Dixit, Principal of the college. On Sunday 31 Jan 2016 , Dr Nandini Deshmukh, District Manager, Mumbai,for The Climate reality Project India, had organised seminar on Sustainable Environment. The venue was Maharashtra Nature Park, Dharavi, Mumbai. I was invited to speak on Global warming & Water Crisis. Dr Ms Priyadarshini Karve, spoke on Smart Cities & Rural Technology. NSCC had organised a meeting in Capt Wadke Hall, PMC building on 19 Dec 2015. The meeting was attended by Mrs Vandanatai Chavan, Rajya Sabha MP from Pune & Environmentalist, Additional Commissioner Mr Bakoria, & other officials from PMC. Col Shashikant Dalvi, Member NSCC, Pune, & District Manager ( Pune ) for The Climate Reality Project, India, gave presentation on the Challenges Posed by the Climate Change. Sunday 29 Nov 2015,as a climate leader from Pune I had organised an event to spread the awareness on COP 21 & Global Warming with the active participation of society residence. 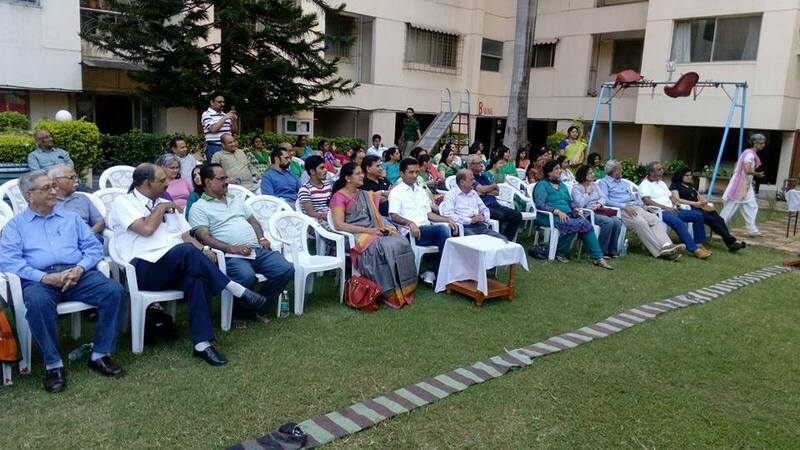 around 100 people attended the event in Lunkad Green Land - 2 in Viman Nagar Pune , India ,from all walks of life. Local dynamic young MLA Mr Jagdish Mulik graced thr function as a chief guest. On 10 Nov 2015, Flute Foundation , organised Diwali Flute recital by the Living God of Flute, Padmavibhushan Pandit Hariprasad Chaurasia, with Pandit Rakesh Chaurasia , And Tabla Maestro Pandit Satyajeet Talwalkar , at Nashik . The campaign Cause is Save Water, Save Life. I was invited by the foundation to speak on Effect Of Global Warming on Water Crisis. For me it was life time moment to share the event with the Panditji. We addressed the Press Conference along with Ms Renu Soman, of Flute Foundation. On Wednesday 21 Oct 2015 , TED talks format program was organised in Symbiosis International University, Auditorium, Viman Nagar, Pune. Occasion was to celebrate 125 Anniversary of Allianz International. 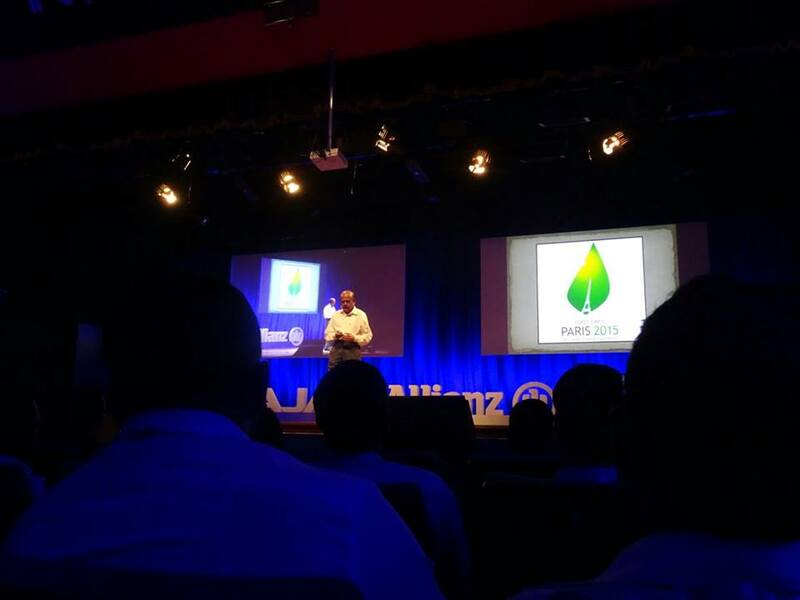 It was sponsered by Bajaj Allianz, India. 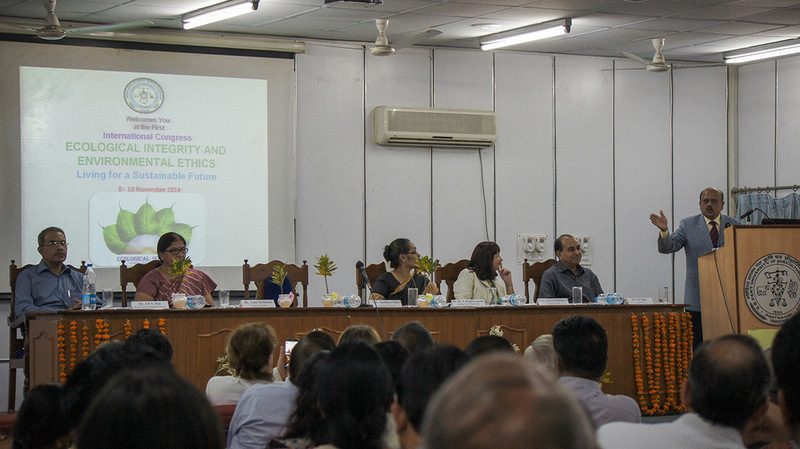 Four eminent persons from the field of environment addressed the audience. On 3rd October 2015, I was invited to address 1500 strong gathering of ex-servicemen and their families regarding my wok in the field of environment conservation. On 25th Sept 2015, I was invited by the college principal to spread awareness on Water Conservation and benefits of Rainwater Harvesting in lieu of the deficit monsoon. Over 150 students and staff attended the progam. On 15th Sept 2015, I was invited by the residents of Model Colony to speak on benefits of Rainwater Harvesting. 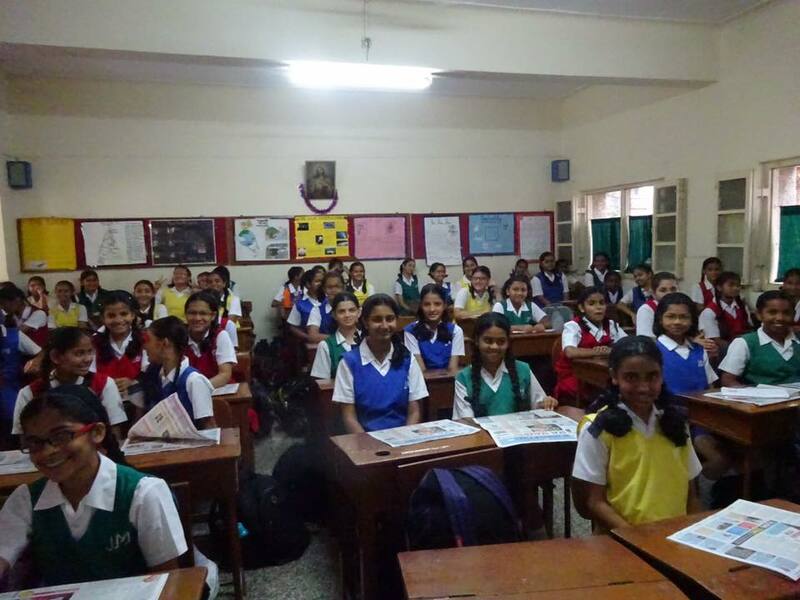 On 9th September, Inner Wheel club of Pune invited me to spread awareness amongst the school children of class 8-10 of the above mentioned school. Nearly 150 students attended the program. On 15th August I was invited as a Chief Guest at Marathwada Mintramandal College for flag hoisting. After the ceremony I shared my 1971 Bangladesh war experience and apprised all about the effects of global warming on our climate. VNRA was launched on 3rd August 2015. It's mission will be to make Viman Nagar, safe, clean and green. I was invited as a chief guest. I'll be spreading awareness on Water Conservation and Rainwater Harvesting in majority of schools in Pune under the NIE program. The above mentioned program was conducted on 6th July. On 27-28th May 2015, I was invited to spread awareness on Climate Change and it's effect on the farming sector. The seminar was held at the 3rd Annual Convention on Sugar Technology and Sugarcane Agriculture, in Kolhapur. It was attended by about 300 delegates representing 5 states, Maharashtra, Karnataka, Tamil Nadu, Andhra Pradesh and Gujrat. On 17th May 2015, Seminar was held on Global Warming and Water Conservation at Community Hall, Athashri Apartment Complex, Baner - Pashan link road, Pune. The seminar was attended by about 50 members of a group of 52 Housing Societies in Baner - Pashan link road area. The seminar was attended by about 75 farmers and their families. On 14th March 2015, National Seminar was held on Water Conservation and Rainwater Harvesting at IIT-B, Pawai. I was one of the speakers at the seminar. My presentation was on Potential of Rainwater and Benefits of Rainwater Harvesting. The seminar was attended by 175 delegates from across the country. On 16th January 2015, I conducted a workshop on Rainwater Harvesting for Pune Municipal Corporation Engineers. Over 50 Engineers attended the workshop. The aim of the workshop was to train these engineers to inspect RWH systems implemented by the builders. I am pleased to inform you that The 27th Climate Reality Leadership Corp is going to be held from February 22-24 2015 in New Delhi, India. The conference is an effort of The Climate Reality Project to educate and generate mass awareness about climate change impacts in India and the world over. Nobel Laureate Al Gore will grace and train the gathering on Climate Change Science, Impacts and Solutions on, February 23rd, the second day of the training. Attended as Chief Guest, International Congress on Ecological Integrity and Environmental Ethics in Pantnagar, Uttarakhand, India from 8-10 November 2014. Our Green Land 2, housing society members feel proud for making society a Green Society. kindly check the article . From a per capita annual average of 5,177 cubic metre in 1951, fresh water availability in India dropped to 1,820 cubic metre in 2001. That by 2025, it will be 1,340 cubic metre approximately. Already, the potential of most river basins is being exploited beyond 50 per cent and several basins are considered to be water scarce. Over 80 per cent of the domestic water supply in India is dependent on groundwater. However, groundwater is fast depleting. Water tables have fallen significantly in most areas and there is a significant pollution of groundwater from natural as well as man-made sources. Before we adopted the rainwater harvesting (RWH) system, we were hiring up to 900 tankers per year. Last year in the summer our bawli (a 100 year-old well) went dry. This year, it is full. We attribute it to the RWH system. RWH is a community service. Even though the water that goes into aquifers through your borewell may benefit someone else, it shows you tangible results. As a social responsibility all hospitals should undertake the system. The RWH System was installed by Parjanya RWH Consultancy, Pune. After two years of project's implementation, the society has seen a considerable reduction in number of tankers they need to buy. The members saved an average of Rs 13,000 to Rs 50,000 per month in the first year. Our Payback period was just one year. The maintenance of dewas filter used by Parjanya in the system is very negligible.